As part of Operation #13MAGNUS , a new chapter in global gameplay is about to emerge: Jarvis Shards. At the beginning of #13MAGNUS the XM entity known as Roland Jarvis was shattered into 13 pieces. These Jarvis Shards scattered throughout the world. Now, Enlightened Agents must reunite them in order resurrect their leader. Resistance Agents will be seeking to destroy the shards, and by doing so, rid the world of Roland Jarvis forever. This effort will literally span the globe as Agents from the over 200 countries where Ingress is currently being played cooperate to achieve their goal, leading to the final confrontation at the end of #13MAGNUS on December 14, 2013. More info was given by Brandon Badger in this post. Who will control the Jarvis Shards? Enlightened or Resistance? The Shards move between Portals via Links. Enlightened agents will be trying to direct the Shards from around the globe to a Target Portal. Resistance agents will attempt to block those efforts and redirect the Shards to their own Target Portal. Each Shard sits on a Portal and every hour attempts to move along a Link. If there are multiple Links, the Shard picks one, with some preference toward a Link that it didn't just take. Once a Shard reaches a Target Portal, it will stick there. But if the opposing faction conquers the Target Portal and creates Links, then the Shards can be transferred back off the target and out into the field of play. Scientists aren't exactly sure what the consequences will be if all 13 Shards are reunited, but rest assured that it's safer if your faction does the unification. The shards could be seen both on the intel map, and in the scanner as the portals with them are marked with purple. The 2 goals are portals with a purple ring around them. One of the goals is the portal of Cupid Span in the USA , know for the Jarvis appearances. From the clue obtained in Madrid one could see the view from the Empire State building observatory in New York City , USA. From the clue obtained in Atlanta one could see the the statue on top of the Brandenburg Gate, in Berlin, Germany with an X in the map showing it's location . From the clue obtained in Raleigh and Charlotte (each town got a half of it) one could see the the gateway of India, in Mumbai, India and it's inscriptions . From the clue obtained in Lisbon and Barcelona (each town got a half of it) one could see the the outline of the docks to the Hong kong waterline with a clock on top. Following the seconds hand of the clock you could reach the clock tower which was erected in 1915 (the clock marks 7:15 or 19:15) . From the clue obtained in Mumbai one could see the the statue at the entrance of the Bolshoi theater, in Moscow, Russia. 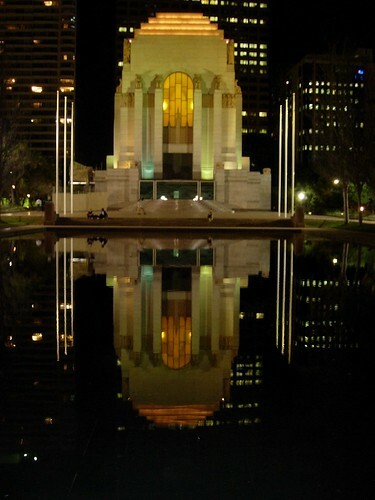 From the clue obtained with one of the phones in Vienna ( G+) one could see the Pool of Reflections in Sydney, Australia. From the clue obtained with one of the phones in Dallas ( G+) one could see the Temple of Wat Arun in Bangkok, Tailand. From the clue obtained from 2 remote cities one could see the Cathedral in Cologne , Germany. From the clue obtained with one of the phones in Dallas ( G+) one could see the Temple of Vesta in Rome, Italy. From the clue obtained from 2 remote cities one could see the Statue of Ramses II, Egypt. From the clue obtained with one of the phones in Vienna ( G+) one could see the Iglesia de San Francisco, Bogota , Colombia. From the clue obtained from 2 remote cities one could see the Caesarea Amphitheater, Israel.